← Makeup Update – Where have I been? As I stated in the post about my length retention journey setback, I purchased a few products that aren’t all completely natural, but contain significant amounts of argan oil, the benefits of which my hair needs at this juncture. I wanted a new sulfate-free shampoo or a different conditioner I could co-wash with, a leave-in, a small bottle of argan oil itself, just something new with argan oil that would help strengthen, moisturize, and reduce frizz. Most of the products I saw had tons of -cones in them, parabens, sulfates, and the like so I had to scrutinize which was the lesser evil, so to speak. I stood there in the small, but expanding section of black hair care products far longer than intended trying to pick a product. In the end, I decided on a couple packs of Creme of Nature With Argan Oil From Morocco Intensive Conditioning Treatment and Cantu Shea Butter for Natural Hair Conditioning Co-Wash. It’s been such a long time since I’ve tried new products I figured I should do a review of those as well as the Eco Styler With Argan Oil I purchased. 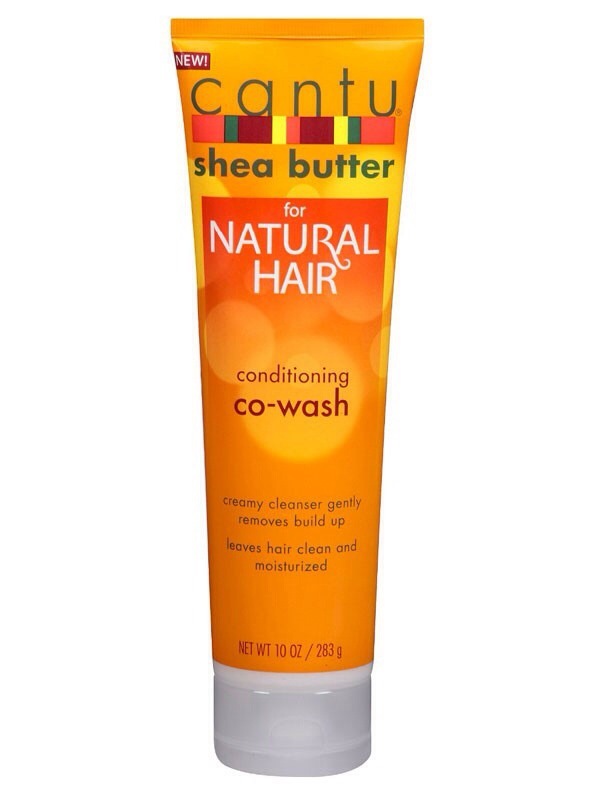 I’ve always been a little iffy about Cantu Shea Butter products since before they reformed many of their ingredients. The leave-in that would smell a little off (fishy even) the more you smelled it turned me away from the line altogether, but after peeking at the ingredients of the co-wash conditioner, and finding myself at a loss for selecting a conditioner that could be used as a decent cleanser amid the selection available, I decided to give the brand a try again. I’m not going to sit here and type out the LONG list of ingredients, but I will quote the bottle, which so succinctly summed up what I wanted to know without having to muddle through pronunciations and mobile web searches for chemical names and abbreviations: No mineral oil, sulfates, parabens, silicone, phthalates, gluten, paraffin, propylene, PABA, or DEA. Great! For the curious, the ingredients read a little something like this: Water, good alcohols, stuff I can pronounce, but have no idea what they are, castor oil, glycerin, shea butter, aloe vera leaf juice, awesome list of oils, extracts, & butters, and then more stuff I can pronounce, but with some difficulty and I still don’t know what they are. It was the great list of exclusions that caught my eye, but it was the long list of coveted oils and extracts that took up the majority of the paragraph of ingredients and price that made me buy it (Walgreens has it for $6.49 out here). When I got home I couldn’t wait to pop the cap and restore my hair. It should be noted that my hair was pretty gunky since I was slathering on the argan oil Eco Styler almost everyday to spruce up a style I was trying to preserve (all because I didn’t sleep with a scarf) so I was really putting this co-wash to the test. The smell is reminiscent of the argan oil Eco Styler, but sweeter and a little more floral. It’s pleasant. The consistency is thick like a deep conditioner, creamy hair butter, or foot cream. I was a little worried that it was too thick to really be a cleanser rather than a simple deep conditioner, sort of like Shea Moisture’s Shea Butter Restorative Conditioner. The directions say to wet the hair with warm water then apply to scalp and hair so I did. Immediately, I noticed that the conditioner does suds up and felt like a sudsy, creamy conditioner. It has a decent amount of slip as long as the hair is soaking wet, like any other conditioner. A little goes a long way with this product; I only needed a dime-sized amount per section so I loved that. I rinsed with cool water as the directions stated and I noticed a strange sort of feeling to my hair. It was like an extremely mild shampoo semi-stripped the oils from my hair, but left it coated with a light, sebum-like oil. It wasn’t bad. I could still run my fingers through my hair smoothly, but I didn’t expect that from a co-wash.
From there, the instructions direct you to use another Cantu Shea Butter product, I believe. Overall, if I were using this product alone, I wouldn’t like that weird feeling after rinsing. Alone, this product was much like an extremely mild shampoo, but I liked how clean my scalp felt. It should also be mentioned that some products really are formulated to work with that particular product line alone so maybe I would feel differently if I tried the whole line. -shrug- Either way, I DO like the product for it’s cleansing capabilities, particularly in conjunction with the next product I’m reviewing, Creme of Nature With Argan Oil From Morocco Intensive Conditioning Treatment. This is one of those quick pack/travel-size-packaging-type products; those envelopes containing a few ounces of product. I bought two, confident that one wouldn’t be enough for my whole head. Lo… I actually had some leftover from the first and only pack I opened. Again, a little goes a long way, but I’m getting a little ahead of myself. I bought this product because of the amount of argan oil, the price ($1.89), and because I really needed a DT. I used to use Creme of Nature when I was relaxed and I liked it, but mostly the fact that it contained argan oil, proteins, olive oil, honey, and aloe vera leaf juice along with the fact that I needed a good DT that made me buy it. I used this product directly after using the CSB co-wash. Upon opening the package, I scrunched my nose up at the smell. It smells like argan oil, no doubt, but it was like an excessively heavy version of Beyoncé’s Heat fragrance; spice drops, musk, and nag champa incense. I didn’t like it at first, but it grew on me through the application process. The scent is strong. Mind you, I have Dr. Bronner’s Peppermint Lotion in my unrefined shea butter mixture so normally when I do my hair it smells like shea butter and peppermint candy. It straight up smells like argan oil and spicy musk several hours later. I don’t mind it, but I know some people don’t like strong scents in their hair care products. The consistency was creamy like pudding and quickly saturated my hair. This DT has excellent slip! The instructions require that the treatment be left on for 10 – 15 minutes under a plastic cap and hooded dryer. I don’t own a hooded dryer so I had to get innovative and use my T-shirt towel to hood my cap in front of a space heater. Hey, you laugh, but it worked. I left it on for about an hour, to be honest, though not intentionally, and did use heat for the last 10 minutes or so. Afterward, my hair felt the same as after any good DT, but it was the protection of the argan oil that I really cared about. My hair didn’t feel dry, but rather more like the natural moisture of sebum was brushed through it. The down side of this product is that it contains quite a few things the CSB co-wash left out. This product is NOTCG-friendly, but if that doesn’t bother you, then you just may like it. Be mindful that it is difficult to find a good deep treatment that doesn’t contain at least some kind of sulfate and silicone. Its saving grace is that water and glycerin are the first two ingredients, the silicones are relatively low on the list and, while not water-soluble, are easily removed with a gentle cleanser. Yayyy! 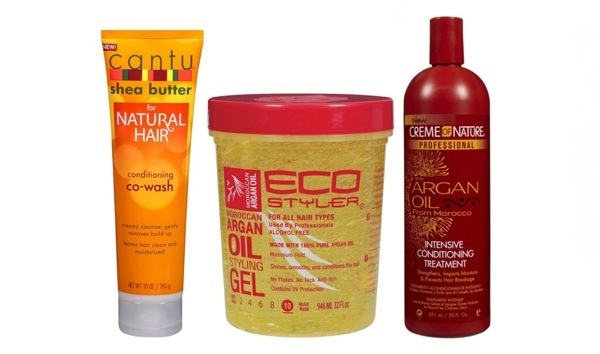 I honestly never understood the comparison between the variety of formulas of Eco Styler. It’s the same gel we all know and love just with an extra ingredient, such as argan oil, olive oil, or higher doses of protein, etc. It’s more like picking a favorite flavor. If there are any noticeable differences, they are subtle. 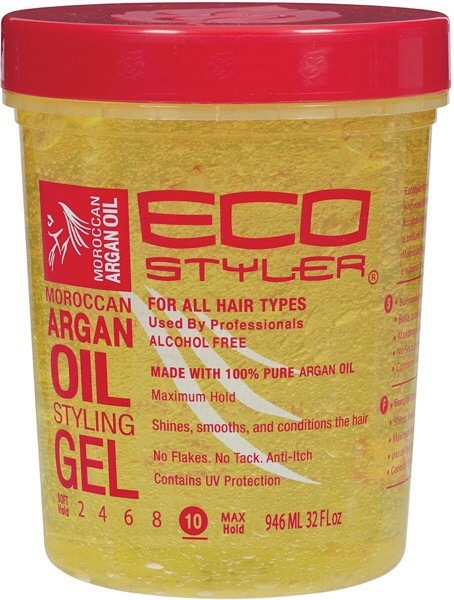 I have tried the original clear Eco Styler, the olive oil formula, and now the argan oil formula. I didn’t find much difference between the olive oil and the original, but the argan oil version has a light, fragrant scent with all the awesome benefits of argan oil. That said, I found it a little more conditioning than the other two, but not by much. 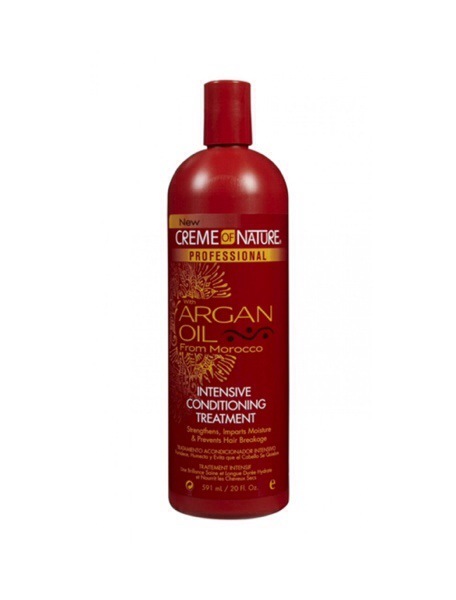 The addition of argan oil also provides extra UV protection, an important component of summer hair care. It has a hold of 10, the strongest, but doesn’t make my hair stiff or hard, same as any Eco Styler gel formula. I push it to the front of the line out of the other Eco Styler gels I’ve tried because it doesn’t have a chemical or plastic smell like the others. If I were going to choose a favorite among them, it would be the argan oil formula. I suppose the next Eco Styler “flavor” will be amla oil (unless they make that already) and I will be happy to try it. After all that, I spritzed with a mixture of water and light oils, applied Eco Styler With Argan Oil, and finally my sticky shea butter mixture and twisted. They are still in the twists this morning and about 97% dry. The argan oil smell is still strong, but more of a powder/talcum scent now. I still don’t mind it. My husband likes it. It just means I won’t be wearing any fragrances for a minute lol. My hair has a soft smoothness to it that makes you rub your fingers together in anticipation of it being oily or greasy, but it’s just that soft and moisturized. When I touch my hair there is no residue on my fingers, which tells me my hair is well moisturized and healthy. It helps that all of these products contain significant amounts of glycerin and argan oil and that it is currently humid in my area due to all the rain we’ve been receiving. Have you tried any of these products? Did they work well for you? What did you like/dislike about them?